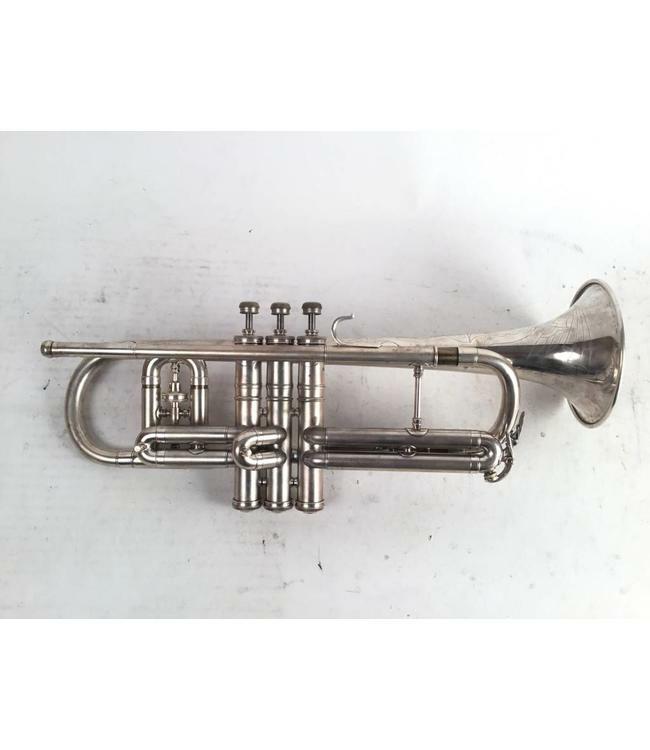 Used Conn 80A cornet in satin silver plate. Good overall condition with minor plating wear at contact points, not affecting playability. No case.